Posted on 08 December 2017. The Caribbean Court of Justice (CCJ) has created its own agency to provide technology to reduce caseload backlogs throughout the Caribbean. 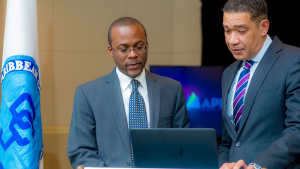 APEX’s mandate is to deliver technology-based solutions for Caribbean courts, law offices and justice sector bodies. Since its establishment in 2016, the agency has developed a suite of software tools to address some of the most critical needs of the region’s justice sector. The solutions developed, known as the Curia suite, were designed by Caribbean jurists and technology experts and developed by Caribbean software engineers. 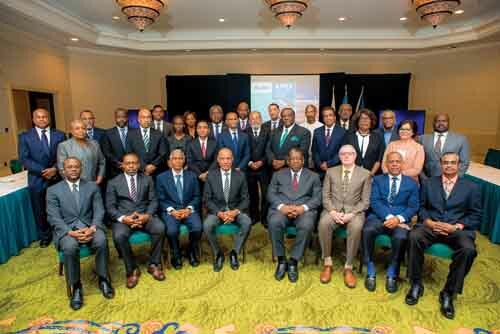 Further, the agency’s governance model includes heads of judiciary, public and private bars, attorneys and leading jurists drawn from across the Caribbean. “At the Caribbean Court of Justice, our mandate goes beyond simply resolving disputes that come before us. We also have a profound obligation to improve the systems of justice delivery throughout the region, for the greater good of citizens, our beneficiaries, across the entire Caribbean,” said Sir Dennis Byron, president of the CCJ. Byron pointed out that APEX’s technology solutions can replace slow, unreliable, manual processes with faster, more accurate, automated systems. He cited examples of inefficient, error-prone and time-consuming manual case management and note-taking of court proceedings, which could greatly benefit from modern technology. 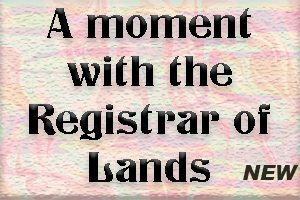 “In many of our courts, the judge or the magistrate takes a manual record of proceedings. This slows down proceedings to the speed at which the judge is recording. It does not produce a complete or completely accurate record. Judges’ time and energy is taken up by trying to take those notes,” he said. “There is no precedence for this level of regional collaboration in the development of justice solutions. 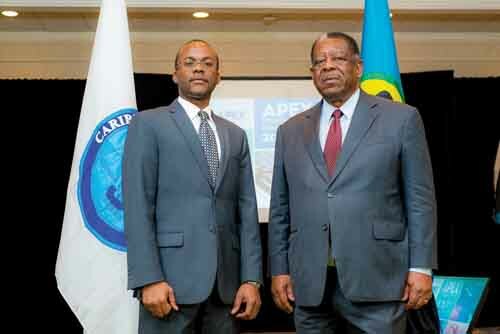 APEX, while established by the CCJ, is owned and takes its direction from justice sector stakeholders across the Caribbean,” said Bevil Wooding, executive director of APEX. The APEX non-profit agency is offering its tools, and the support to implement it, to courts and law offices across the region. “Unlike commercial software solutions, APEX’s technology is designed to become a source of revenue for the justice system in the region, rather than constituting a recurring expense,” stated Wooding. To bring region wide-awareness to its services, APEX recently staged its first stakeholders’ convention in The Bahamas. More than 50 delegates from 15 Caribbean countries gathered at the Atlantis Paradise Island Resort in The Bahamas, with another 35 joining the forum online. Among the audience were chief justices, attorneys general, judicial officers, directors of public prosecution, legal professionals, court administrators and leaders of bar associations. It was the first time that such a diverse group of stakeholders of Caribbean justice fraternity gathered for such a meeting. Wooding described it as “a milestone event” for the Caribbean justice community. Barbados, Belize, Guyana, St. Vincent and the Grenadines, and Trinidad and Tobago are among the places where courts and law offices have already adopted technology developed by APEX for electronic case filing, case management and court performance measurement. “The dream of having Caribbean courts benefit from Caribbean solutions for the vexing and persistent challenges in the administration and dispensation of justice, is now a reality, said Wooding. Olympic gymnastics gold medalist Aly Raisman became a symbol of strength for survivors as she spoke out against her abuser Larry Nassar last year.